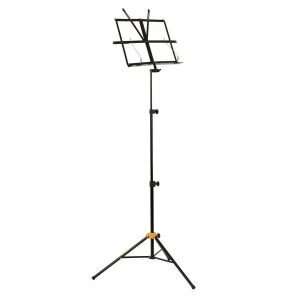 The HERCULES EZ Desk Music Stand BS050B is a lightweight, three-section music stand that is ideal for musicians whether they prefer sitting or standing while they play. Carrying Bag included. 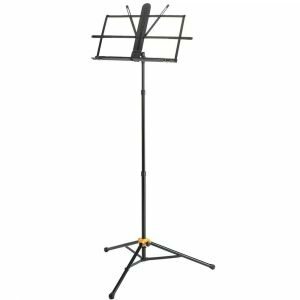 The HERCULES EZ-Glide Music Stand BS100B is a lightweight stand ideal for musicians whether they prefer sitting or standing while they play. 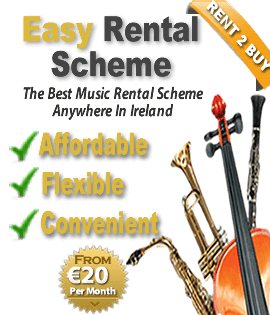 The HERCULES Music Stand BS301B features the patented EZ Clutch Height Adjustment Grip, a solid folding desk, a tiltable tripod base, open taps for instrument pegs and wire page retainers. The HERCULES Music Stand BS311B features the patented EZ Clutch Height Adjustment Grip, a perforated folding desk, a tiltable tripod base, open taps for instrument pegs and wire page retainers. The HERCULES Three-Section Music Stand BS408B features the patented EZ Clutch Height Adjustment Grip, a solid folding desk, a foldable tripod base and wire page retainers. 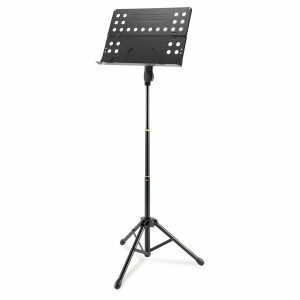 The HERCULES Three-Section Music Stand BS418B features the patented EZ-Clutch Adjustment Grip, a perforated folding desk, a foldable tripod base and wire page retainers. Wood screw enhances the classical appeal. The HERCULES Music Stand Cart BSC800 can hold up to 12 Music Stands and is perfect for optimising storage in a busy band room.